Since you were a little girl you have probably dreamed of this day. You more than likely dressed up as a bride and played weddings with your friends when you were younger and you marvelled over the fairy tale princess dresses that you saw in books or on the TV. It’s no wonder then that your wedding dress is probably the most important part of the day for the bride. The dress that you want may not be something out of a fairy tale and you may have different ideas but your wedding dress is the one dress that will create memories that will last a lifetime. It’s not just memories of your special day that will stay with you but also the pictures that will adorn your walls and mantelpiece for many years to come. When entrusting a seamstress to carry out your bridal alterations, you want to be able to feel confident that you have chosen the right person to work on your dream dress for your dream day. City Tailors of Bath specialize in wedding dress and bridesmaid dress alterations. With over 25 years’ experience in bridal alterations we have established an excellent reputation for delivering each bride the perfect wedding dress across Bath, Bristol and the South West. We have an excellent reputation for quality, first class customer service and reasonable prices. 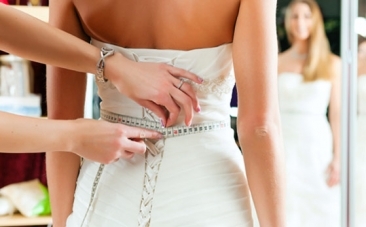 Why Choose our Bridal Alterations Service? Quality workmanship and excellent customer service should be as standard and not something clients should be expected to pay a premium for. Our highly experienced and talented dressmakers will work on your wedding dress for as long as it is required to make your dress perfect. 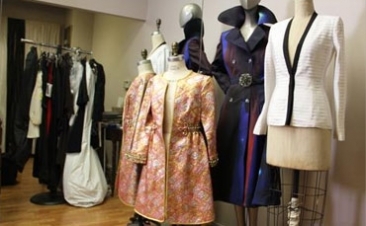 We will focus on your needs and work with you on a one-to-one basis to achieve the dress that you are truly happy with. This means that the same dressmaker will work with you and your dress until the perfect fit is achieved. Our expert dressmakers have many years of experience in bridal alterations across Bath, Bristol and the South West so you can rest assured that your dress is in the best possible hands. City Tailors have worked hard creating the perfect team to work on your wedding dress. We have very high standards of customer service that every bride deserves. We have achieved great success when it comes to creating a memorable experience for each of our brides from the moment they step into our shop to the moment they leave our shop with their finished dress ready for the big day. Bring your wedding dress to us at your earliest convenience. Remember to bring the correct shoes and any undergarments as well. At this initial consultation we will pin the dress and give you an estimate of costs. Once you are happy to go ahead we will keep the dress and agree a date for your first fitting. Leaving your dress with use means that it is kept safely stored out of sight and saves you having to transport it to and from every fitting. 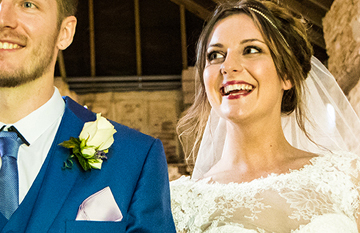 Prior to your wedding you will visit us on pre-agreed fitting dates. The number of fittings required will depend on the complexity of the work we are undertaking. Once you are completely satisfied you will be able to collect your perfectly altered dress and take it with you. All fittings including the consultation are free. We only charge for the work we perform and you only pay for the work we agree to do once. For example, if we take in the dress and it still does not fit correctly when you try the dress on, we do not charge again. All of our team are qualified tailors, dressmakers and seamstresses by trade, with at least 15 years of experience. Despite being already qualified, the team have to undergo a rigorous City Tailors training programme to demonstrate they perform work to our high standards. In addition, there is ongoing regular training to help the team master their skills. For many women their wedding day is the only time they will wear the most beautiful dress they will ever own. It is then destined to spend the rest of its time hidden away in a box under the bed. The end of your wedding day doesn’t have to be the end of your wedding dress. At City Tailors our experienced and talented tailors and dressmakers will use their talents to turn your wedding dress into something new, better, modern and exciting. We can turn you beautiful wedding dress into a stunning cocktail dress or evening gown, an elegant blouse or even a gorgeous and unique skirt. Your new garment will remind you of the memories from your wedding day plus give you another dazzling outfit. Our talented dressmakers will work with you to create a unique piece that will always have a special and personal meaning. When choosing dresses for bridesmaids you have a number of options. Many brides will opt for off the peg dresses whilst some will have them made to measure. The trouble with both of these options is that if you have more than one bridesmaid it will be very difficult to get them all to fit as you need. One might be too loose, one might be too short and another could be the wrong shape completely. At City Tailors we can take your selection of bridesmaid dresses and make sure that every one of them fits to perfection. You might choose dresses that are the right colour but the wrong style. Not a problem. Our experienced seamstresses and dressmakers will work with you to re-create the dresses turning them into the perfect garments. If the dresses have lots of embellishments like sequins or beads that is not a problem. We can make any types of alterations from simple hem adjustment to major modifications. We have worked with beautiful and exotic lace, luxury fabrics and lots of beading detail. We will work with you and your bridesmaids to ensure that the dresses are perfect for your special day. Wedding dresses can vary from being very simple and elegant to having lots of intricate beading and detail. At City Tailors of Bath we have the expertise to not only alter your wedding dress to perfection but also to re-style it to your requirements or perhaps even in ways you never thought possible. With a wedding dress re-style we can change the neckline, add sleeves, re-shape the train and add lace or embellishment. When you walk down that aisle in your wedding dress we want you to feel the most confident you have ever felt in your life! You will look incredible from every angle and everyone will be dazzled by your beautiful dress. It doesn’t matter where you have purchased your wedding gown from. It could be a department store, a bridal boutique or you may have gone for a vintage option that needs a re-style, re-size or re-model. Whatever you need, at City Tailors we can help. Once you have worn your wedding gown and it has been cleaned and put back in the box it tends to become forgotten about and just kept for sentimental value. What a shame to have the dress of your dreams hidden away in a box! Having a christening gown created from parts of your wedding dress is a great way to create a unique outfit for another special family day. You don’t have to use parts of the dress itself. We can create the perfect christening gown using material from the train. If you want to turn your dress into another garment you could have it made into a tea-length dress to wear at the christening ceremony and match your baby. There are many options available to you from having a replica of your wedding dress made for your baby to letting us come up with a bespoke design or realising your vision for the perfect christening gown. Whatever your requirements let our tailors and dressmakers work with you to create a unique and special outfit for you and your baby.